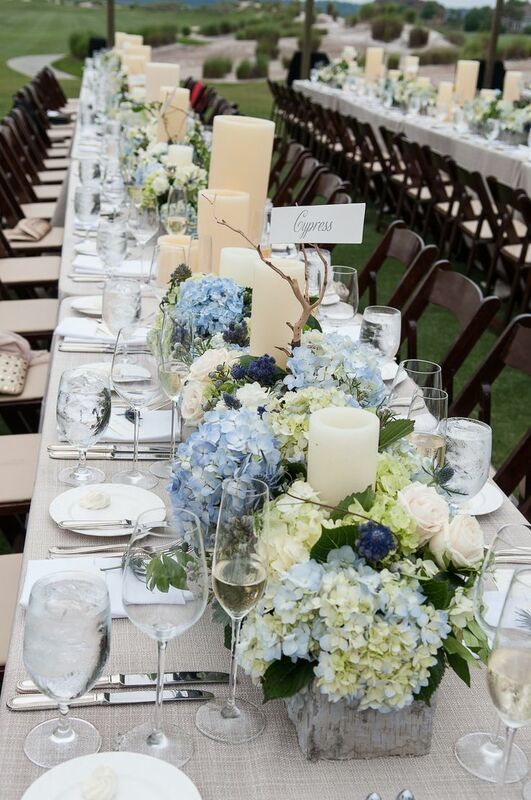 Lush, cheerful and magic, hortensia/hydrangea flowers make for a stunning choice when it comes to wedding flowers. 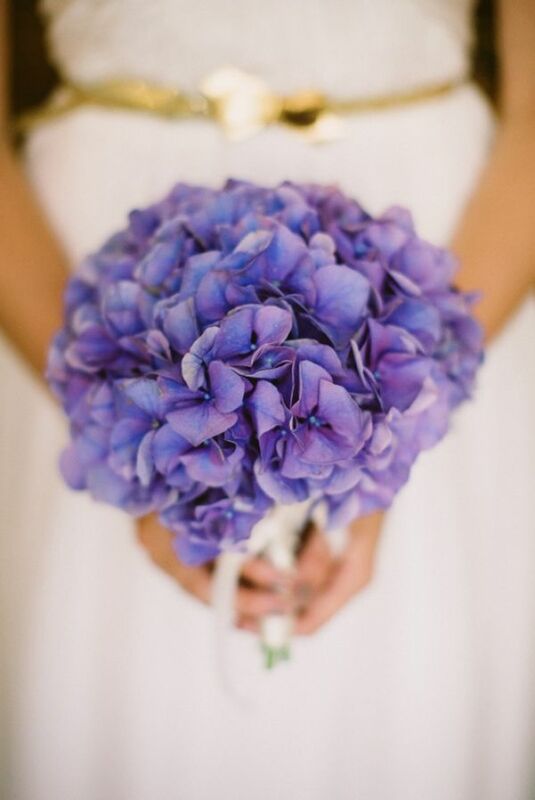 Their wide range of colors is simply irresistible, while the texture leaves us mesmerized and if you have hydrangea flowers growing in your garden, then use them for your fabulous wedding. 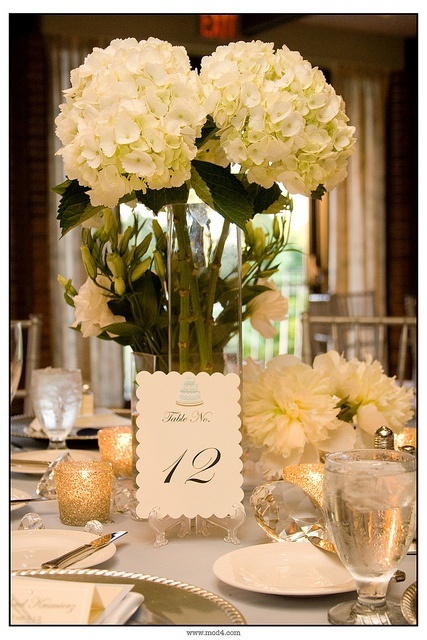 White hortensia arrangements in tall vases. 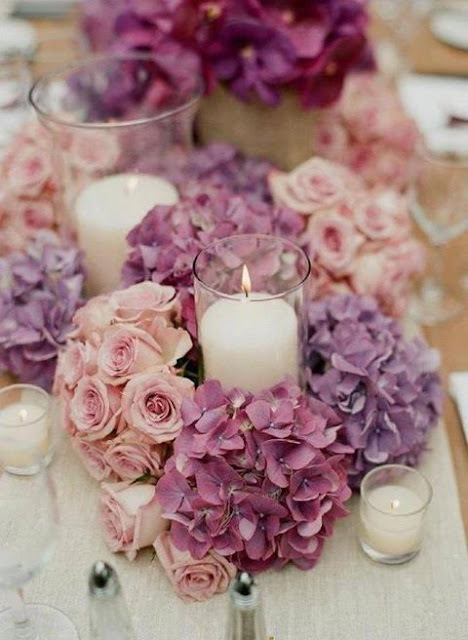 They look perfect on the table. 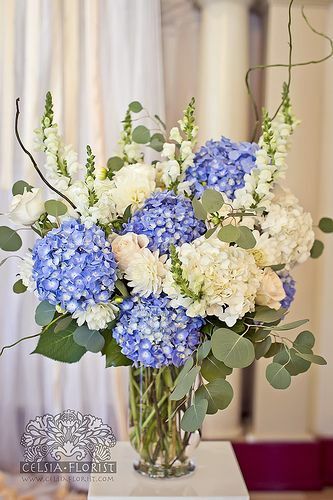 White and blue hortensia arrangement in a tall vase. Something purple for your wedding?